At Berendsen we provide a range of onsite hydraulic services to keep your system operating at optimum capacity, including system installation and commissioning, preventative maintenance programs, shutdown services and equipment overhauls. 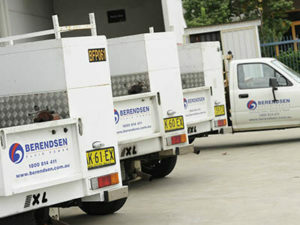 Where an emergency does occur we have breakdown emergency response teams. Over more than 20 years, Berendsen has accumulated an impressive portfolio of projects spanning a wide range of industries and applications. Our experienced installation and commissioning teams can be mobilised to remote locations where comprehensive preparation and planning are key to timely fulfilment of project deadlines. Berendsen has experience in the maintenance of industrial hydraulic systems, process equipment, mobile equipment and lubrication systems. 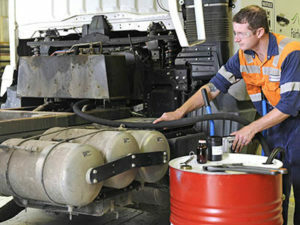 Our inducted technicians play a key role in the ongoing maintenance of hydraulic systems and equipment on mine sites, manufacturing plants and other industrial environments across Australia. We work with our customers to schedule out of hours site shut-downs to perform routine system maintenance, eliminating unnecessary downtime. Maintenance programs are tailored and flexible to meet the changing requirements of clients, including services such as hydraulic system flushing and oil service, sampling and testing. When it comes to diagnosing problems in complex hydraulic systems, experience is critical. Through hard-earned experience, Berendsen’s field service technicians have acquired the skills necessary to troubleshoot intricate hydraulic and pneumatic systems, devise solutions and get your machinery up and running. This service is on call 24 hours per day 7 days per week. 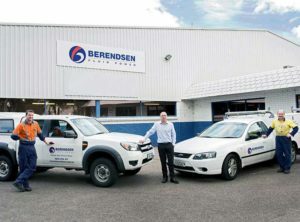 Berendsen understands that unscheduled shut-downs as a result of hydraulic system failure are a huge point of concern for any production-orientated business. Therefore the concept of the mobile hydraulic service workshop was devised, to act as a hydraulic ambulance, travelling to you to get your hydraulic system up and running again in the shortest possible time. Our fully equipped service fleets are equipped with the tools and critical spares needed to rectify common problems, on-site, in the quickest possible time-frame. We are committed to proactively identifying and recommending continuous improvements to avoid re-occurrences of equipment failure.